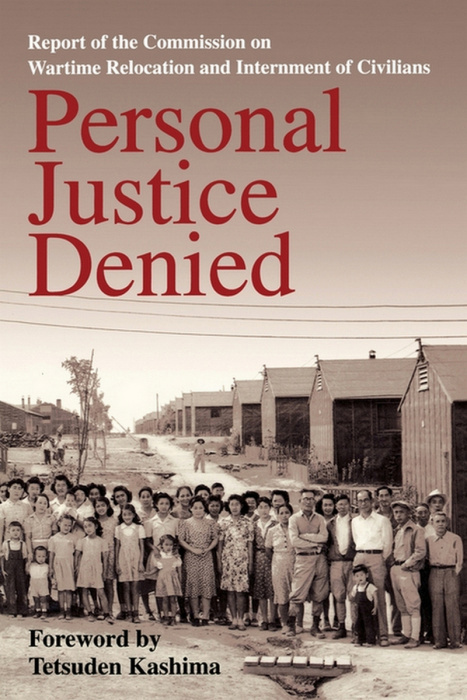 Having discussed my “discovery” of the internment of Japanese-Americans during World War II, in this post I offer some historical background to the internment, based on my reading of scholarly studies which I note as I go along. To contemporary sensibilities, the evacuation and detention of Americans of Japanese ancestry during World War II seems unjust, inhumane and even racist. But to someone who had followed the history of the Japanese in America, detention based on race would not be that surprising. 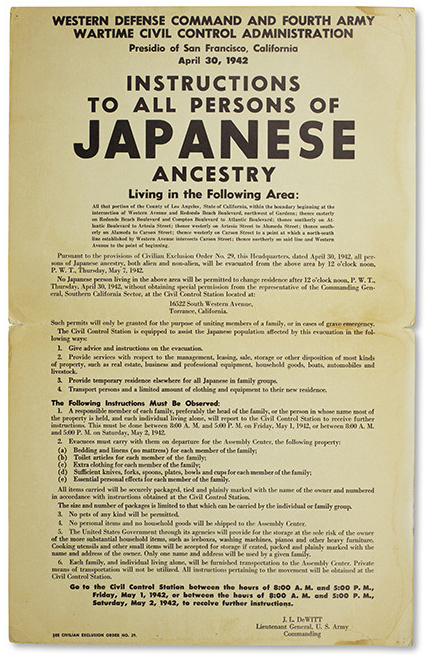 Like most people of color who have come to the United States (voluntarily or involuntarily), Japanese immigrants were subject to numerous forms of overt, covert, and institutional racism. And as with most people of color, racial discrimination against the Japanese bore the seal of approval of various local and state governments, as well as the federal government. From the early period of immigration from Japan to the West Coast of America, “resident Japanese were an unpopular and unwelcome group in the eyes of many residents … Their race and the semiclosed communities into which they were forced set them apart from the larger population. 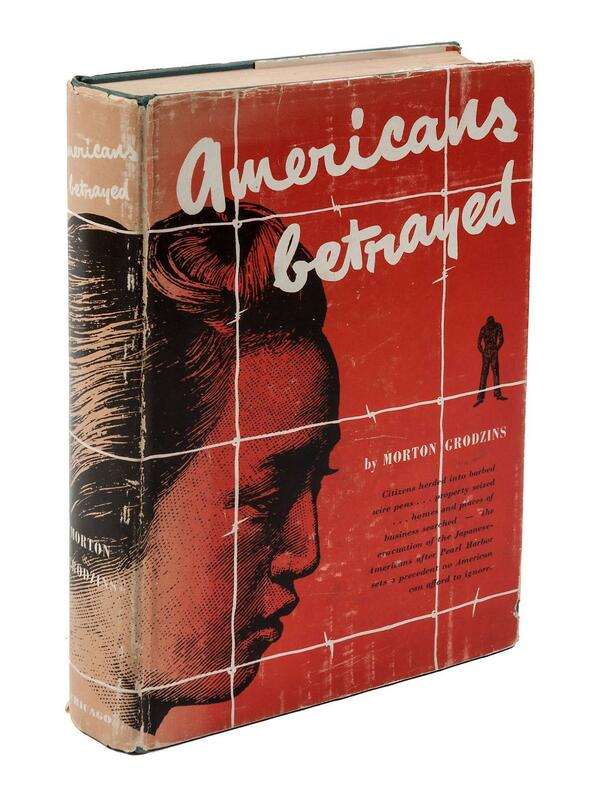 Their adherence to Old World culture patterns further served to emphasize their isolation and to make them the target of popular distastes” (Morton Grodzins, Americans Betrayed: Politics and the Japanese Evacuation, Chicago: University of Chicago Press, 1949, p. 2). In essence, their inability and, for some, unwillingness to assimilate was both a product and a cause of Eurocentric discrimination. 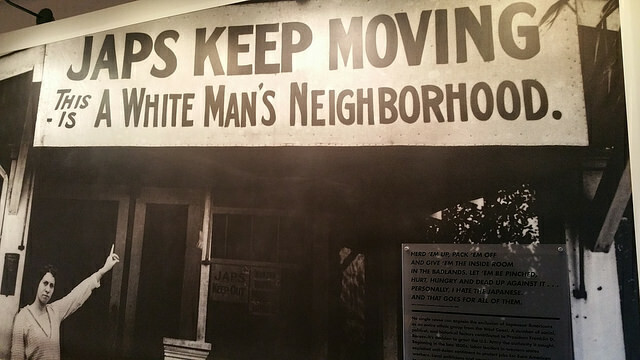 Discrimination against the Japanese, however, was merely a continuation of the racism which had earlier served to provoke violence against Native Americans, Mexicans, and Chinese, especially in California. In 1790, three years after the ratification of the United States Constitution, the first immigration law of the US was passed, and it spoke very clearly to the racialized nature of American “democracy.” The law “provided that only ‘free whites’ could be naturalized,” and as a result, of the 72,157 Japanese in the continental US in 1910, only 4,502 (6%) were American citizens (Dillon Myer, Uprooted Americans: The Japanese Americans and the War Relocation Authority During World War II, Tuscon: University of Arizona Press. 1971, p. 9). That no immigrant Japanese could be a naturalized citizen was not enough, though. In the 20th century, racism and the desire to eliminate all immigration from Japan resulted in further governmental legislation. “By 1900, widespread economic and social antagonisms had developed, and agitation in opposition to further Japanese immigration had begun. The 1906 San Francisco school law, ordering the segregation of oriental students, was the first official discriminatory act of importance [directly aimed at Asians]. It was followed by action on the state level, as in the passage of the 1913 California Alien Land Law (prohibiting ‘aliens ineligible for citizenship’ from acquiring ownership of agricultural land), in the subsequent strengthening of that law, and in the passage of similar statutes, following the California example, in Oregon, Washington, and other states” (Grodzins, Americans Betrayed , p. 3). 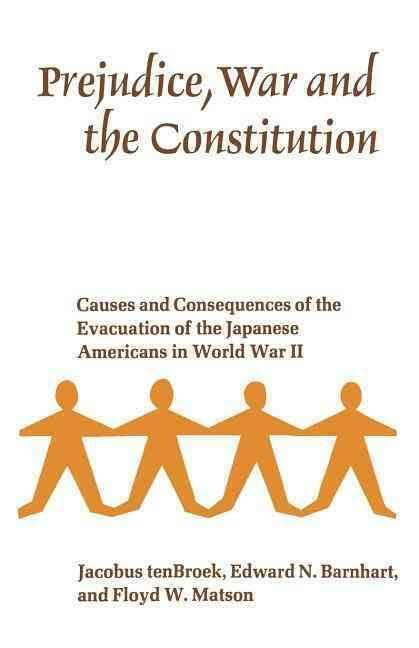 Discrimination against Japanese became a matter of federal policy with the passage of the Exclusion Act of 1924 which “den[ied] admission to the United States of all immigrants ineligible for American citizenship,” a law that was amended exclude Japanese specifically (Myer, Uprooted Americans, p. 12). The judicial branch continued in its tradition of racism with “a Supreme Court decision denying the citizenship previously granted a Japanese who had served with United States forces in [World War I]” (Jacobus tenBroek, Edward Barnhart, and Floyd Matson, Prejudice, War and the Constitution, Berkeley: University of California Press, 1968, p. 28). After the passage of the Oriental Exclusion Act of 1924, relations between “whites” and Japanese improved somewhat. But racism only needed a catalyst to incite further discrimination driven by the desire to eliminate the “yellow menace” altogether. In 1942, the collective weight of half a century of racial antagonism on the West Coast collapsed onto 113,000 residents of Washington, Oregon, Arizona and California who happened to have ancestry in the country which had attacked the United States at Pearl Harbor. Although there was no action against Japanese and Japanese Americans immediately after December 7, 1941, there would soon enough be calls for measures against the “Japs,” this time with the full force of a wartime mentality behind them. In the war in which we are now engaged racial affinities are not severed by migration. The Japanese race is an enemy race and while many second and third generation Japanese born on United State soil, possessed of United States citizenship, have become “Americanized,” the racial strains are undiluted. To conclude otherwise is to expect that children born of white parents on Japanese soil sever all racial affinity and become loyal Japanese subjects, ready to fight and, if necessary, to die for Japan in a war against the nation of their parents. That Japan is allied with Germany and Italy in this struggle is not ground for assuming that any Japanese, barred from assimilation by convention as he is, though born and raised in the United States, will not turn against this nation when the final test of loyalty comes. It, therefore, follows that along the vital Pacific Coast over 112,000 potential enemies, of Japanese extraction, are at large today. There are indications that these were organized and ready for concerted action at a favorable opportunity. The very fact that no sabotage has taken place to date is a disturbing and confirming indication that such action will be taken (quoted in Personal Justice Denied: Report of the Commission on Wartime Relocation and Internment of Civilians, University of Washington Press, 1997, p. 6). 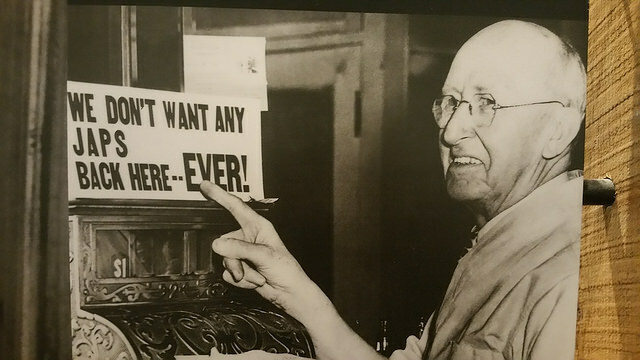 Not long after he was given authority under Executive Order 9066, DeWitt issued Public Proclamation No. 1. This proclamation essentially fell in line with the program he proposed in the “Final Recommendations” memo. Proclamation No. 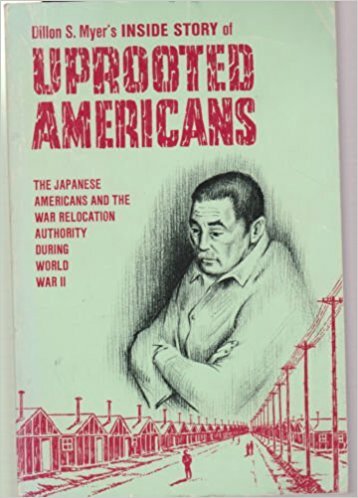 1 “designat[ed] the western half of the three Pacific Coast states and the southern third of Arizona as a military area and stipulat[ed] that all persons of Japanese descent would eventually be removed therefrom” (Myer, Uprooted Americans, p. 25). Whereas the program of removal from the designated military area was initially instituted as “voluntary evacuation,” and movement to any residence outside the military zones was allowed, it soon became one of forced evacuation and detention in “relocation” centers [Note 1*]. Through Civilian Exclusion Orders Nos. 1- 108, issued between March 24 and August 8, 1942, DeWitt was able to force the migration of 109,650 people of Japanese ancestry, American citizens and resident aliens alike, to fifteen “Assembly Centers” (really, detention centers), mostly racetracks and fairgrounds like Tanforan I mentioned before, where they would wait until relocation centers could be set up for their detention (Dorothy S. Thomas and Richard Nishimoto, The Spoilage: Japanese American Evacuation and Resettlement, Berkeley: University of California Press, 1946, pp. 11-13). Tule Lake in Newell, California was the first relocation center to open (May 27, 1942), and the final shipment of evacuees arrived at Arkansas’s Jerome Relocation Center in October 1942. In a matter of months, the evacuation and detention was complete. The roughly 110,000 detained Japanese were most of the total Japanese population of 127,00 living in the continental US at the time. They represented “less than one tenth of one per cent of the total American population, less than two percent of the population in the state of their heaviest concentration (California)” (Thomas and Nishimoto, The Spoilage, p. 1). This population can be broken down into Issei (first generation) and Nisei (second generation). The second generation Japanese were divided into the “Jun” (pure) Nisei and the Kibei (literally, “returned to America”). The Kibei were sent by their families back to Japan to live with relatives and generally to be educated, then returned to the US. They differed from the Jun Nisei in their more strict adherence to Japanese cultural traditions, and in ideological divisions between Issei and Nisei, they tended to side with the Issei. Of the 127,000 total in the US, some 80,000 were Nisei and held American citizenship by virtue of their birth on American soil. Two thirds of the Nisei were under twenty years of age. 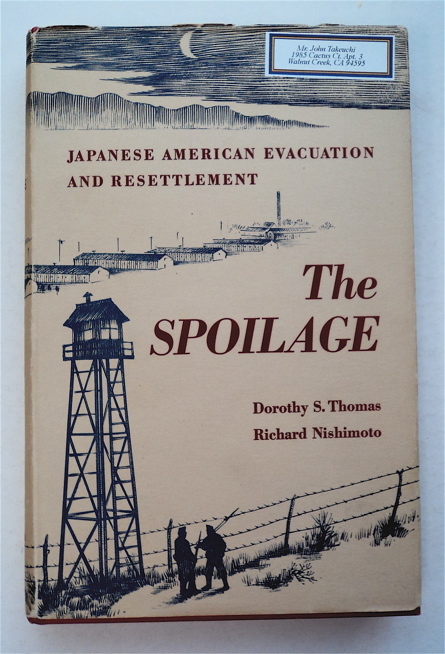 Of the 47,000 Issei who were resident aliens, “Ninety eight per cent … had come to America prior to the Oriental Exclusion Act of 1924, almost half of the total having arrived before 1910” (Thomas and Nishimoto, The Spoilage, pp. 1-2). The Issei were characteristically old: 67% being over fifty years of age. Due to the tradition of racist exclusion described above, the 98% of the Issei who had lived in America at least eighteen years (almost 50% of those residing at least 32 years) were ineligible to be naturalized as citizens. Had the Japanese not been discriminated against previously, it is possible that fully 99% of all people of Japanese ancestry interned would have been United States citizens in 1942. Resentment, then, was not an unknown feeling among the Japanese in America. In a later post I will explore how this resentment played out in the drama of collective resistance in the detention centers. [1*] “Relocation” center was meant to imply a stopping point on the way to resettlement outside the military zone. In reality, most did not resettle, but stayed in the centers until they were closed. Some stayed as many as four years. Most wanted to wait until the West Coast was reopened to them, while others simply feared racism on the outside of the centers regardless of the region of the country to which they would be resettled. A few even felt as though they were “getting back” at the government by staying in the centers and living at the monetary expense of the government.